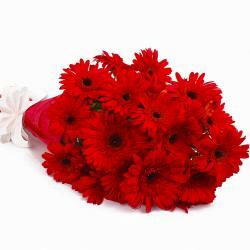 Product Consist : 20 Stem Pink Color Gerberas with green fillers in Cellophane Wrapping with Ribbon Bow on it. 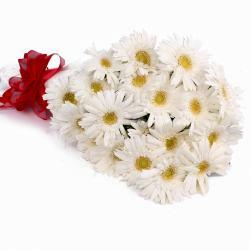 With the goodness of pink gerberas, we have a gift that you can send to anyone special and make him or her feel loved. 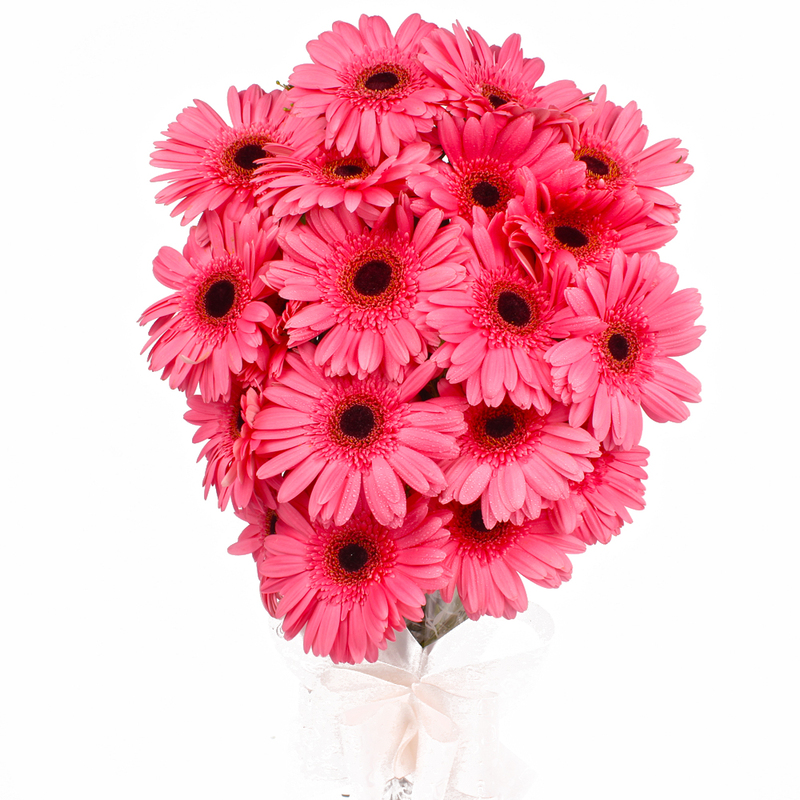 The exclusive bunch of twenty pink gerberas, wrapped in cellophane, is good to go as a gift for any celebration or occasion like Birthday, Anniversary, Diwali, Onam, Parents Day, Boss Day, etc. 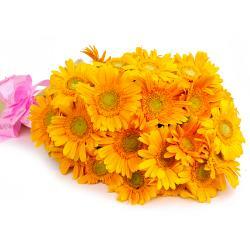 Make memories that are worth to be cherished forever with this gift of flowers. 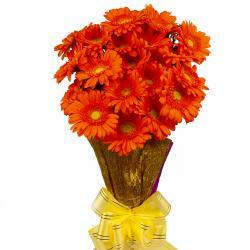 Gerberas not only look great but also are very premium as a gift. So place an order right away and make them smile. 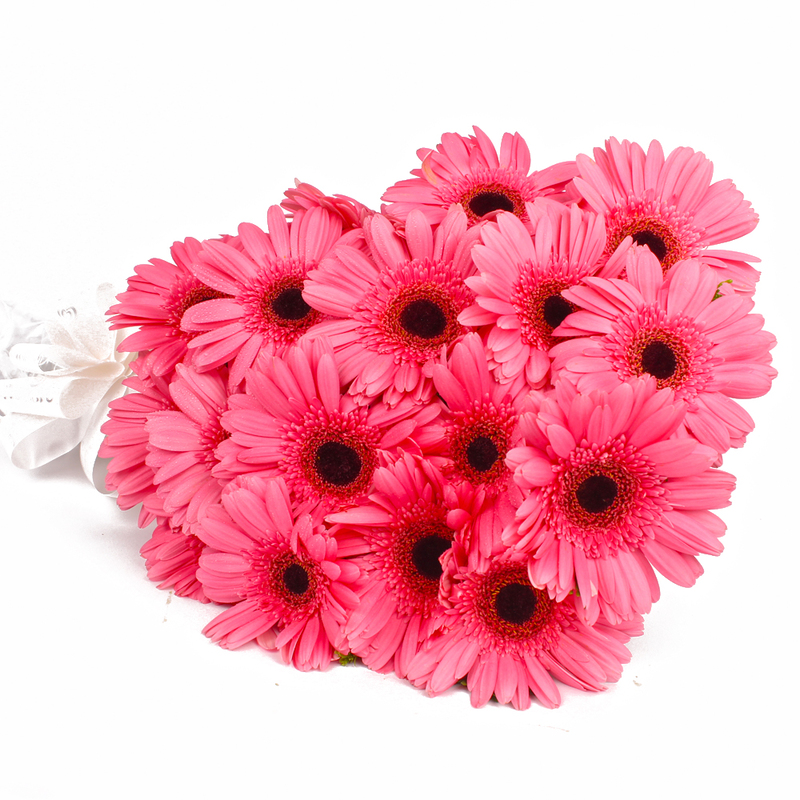 Product contains : 20 Stem Pink Color Gerberas with green fillers in Cellophane Wrapping with Ribbon Bow on it.